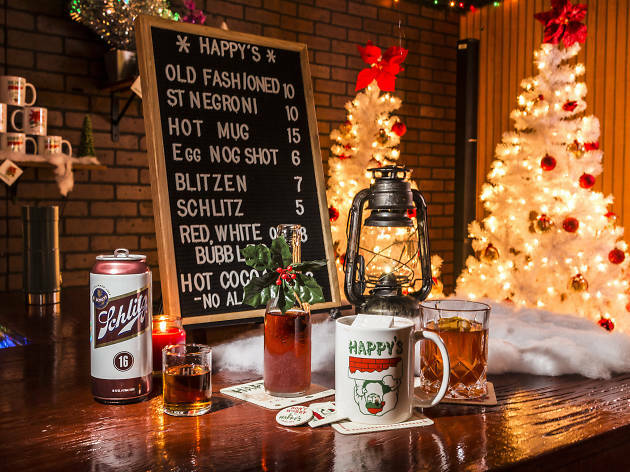 If you're struggling to get into the holiday spirit this year, we have just the thing: a lineup of festive pop-up bars that are bursting with Christmas cheer. 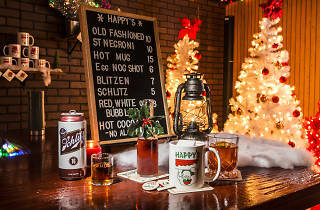 Come winter, some of the best bars in Chicago are decked out in tinsel and string lights, offering guests specialized menus with boozy hot chocolate, spiked eggnog and spiced wine. Whether you're looking for a merry nightclub or a laid-back spot to grab drinks with friends before the holiday madness, you're bound to find something on our list of the best seasonal pop-up bars. 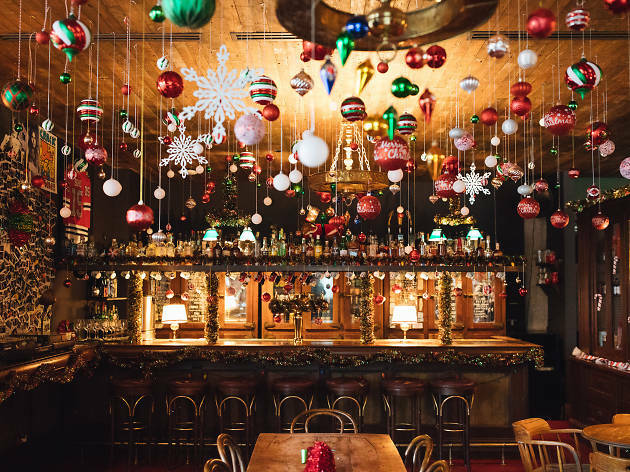 The bar team at Fox Bar inside Soho House (don't worry, it's open to the public) goes all out for the holiday season, decorating the space with oodles of ornaments and tinsel. The cocktail menu also gets a makeover, with soul-warming sippers like the Bad Santa's Badazz Eggnog with brown sugar cognac, oloroso sherry, heavy cream, whole egg and nutmeg. Guests can also order super seasonal beers and munch on Reindeer Chow to get into the holiday spirit.